Celbrating our 100th Year of Service! Blessed Virgin Mary Byzantine Catholic Church is a small but very vibrant parish who trace our roots back over 100 years. 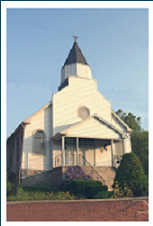 In that time, our parish family has made major contributions to the cultural and spiritual growth of the Coatesville community. You can learn more about our history here. Most Important, we continue to offer a spiritual home for all who love God and wish to share in His great goodness. We actively seek out those who are looking for a spiritual community. If you are looking for a spiritual home and are interested in joining us, please contact us by phone or email. 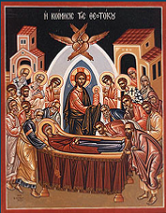 For information on our Liturgical schedule, click on the Bulletin link below. Click here to view a Slide Show of our event.